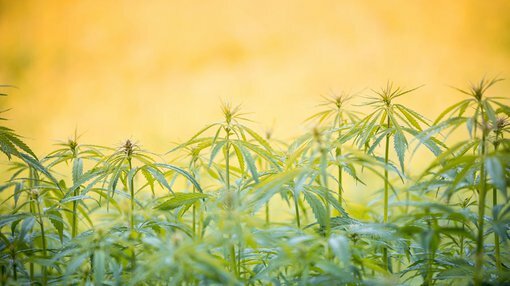 Legislation allowing the cultivation of cannabis for the manufacture of therapeutic products hits parliament today – and it appears it has a great chance. This morning health minister Susan Ley announced the introduction of legislation eight weeks in the making, describing it as the “missing piece” of medical cannabis legislation. Amendments to the existing Narcotics Drugs Act are being pursued to allow the controlled cultivation of cannabis of medicinal or scientific purposes into a single unifying scheme – which would be a first for Australia. At the moment there are provisions to allow the legal production and distribution of medical cannabis products, but there’s no single unifying scheme allowing for the cultivation of cannabis for therapeutic products. Hence, Ley described it as a “missing piece”. “For Australia, this is the missing piece in a patient’s journey,” Ley said in a statement. It would appear that on a sentiment basis at least the legislation will enjoy bi-partisan support. In 2014 a similar bill was introduced by the Greens but endorsed by both Liberal and Labor senators that would allow a national regulator – demonstrating that the issue has broad bi-partisan support. Should the latest bill pass both houses, it would open the way for companies in the medical cannabis space to take more control of the supply chain within Australia. Companies which would benefit include MMJ Phytotech (ASX:MMJ) and MGC Pharmaceuticals (ASX:MXC). After merging with Canadian-based MMJ Bioscience last year MMJ is developing a range of CBD-based products aimed at the growing global market for medicinal cannabis, in partnership with a leading scientific research centre in Israel. MMJ already has sold its first CBD-based pill via European distribution partners, with the sale taking place late last year. MGC Pharmaceuticals (ASX:MXC) is aiming to produce high quality resins, oils, salves and creams made from CBD with growing operations in Slovenia and Namibia. Last year, MXC became the first Australian registered company to gain permission to grow, process, import and export an unlimited quantity of Cannabis Sativa L (hemp) and its products.